The Hall of Fame has its primary displays at the Save-On Foods Memorial Centre and satellite displays at Bear Mountain and Royal Athletic Park. The displays at RAP comprises photos and bios of famous Victorian ball players and teams that have been inducted into the Hall of Fame. Two of these are Gail Archibald and the 1970 Victoria Centennials Baseball team. 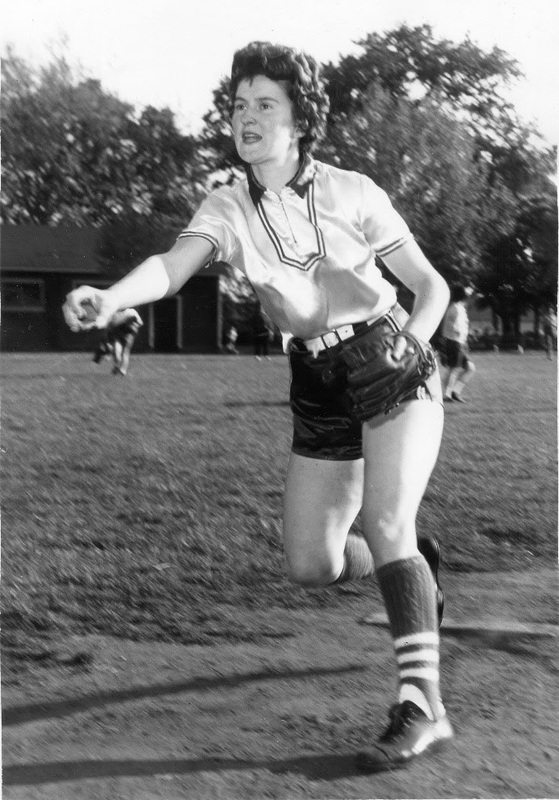 Known fondly as the Strikeout Queen for the way her windmill pitching style and pinpoint accuracy stymied batters, Gail Archibald was truly a women’s softball pioneer. The girls’ game in the late 1950s was a high-scoring affair, but the keen young Vic High student, also busy competing in basketball and track, was a fast learner. Pitching for the Victoria junior Polyettes, later the Vicettes, Archibald and her mates racked up provincial championships almost as fast as the K’s filled her game-sheets. Senior B titles came from 1959 to 1963 – the Vicettes captured a Western Canadian title in ’63 thanks to a shutout from workhorse Archibald in an extra-inning final. They won two B.C. Senior A titles led by their fire balling ace, and reached the Canadian final in 1965. Archibald shifted to the Vancouver Texacos then the Eldorados for her final four seasons of senior ball, garnering more top pitcher awards but falling just short of the elusive Canadian championship. She was inducted into the Hall of Fame in 2011. The 1970 Victoria Centennials were the Canadian Senior Men’s baseball champions. The team was made up of Bob Lumley (Mgr. ), George Fuller, Doug Hill, Dave Morgan, John Yankoski, George Brice, Mike McAvoy, Bob Mabee, Keith Todd (Coach), Stan Gibb, Pete Jolley, Mike Embury, Russ Holmes, Barry Harvey, Gordy Strongman, Terry Whitman, Jerry Lister, Bill Campbell, Larry Webster, Les Brice, Art Worth, Dave McKay, Murray Gage-Cole, and Lorne Bunyan. The highly talented Victoria Centennials came out of local little league and minor baseball to the Athletic Park men’s league and dominated Canadian amateur baseball in the late 1960s and early 1970s. The Centennials, what the senior ‘A’ all-star team called itself, represented B.C. five times at the Canadian championships, making it to the national championship game three times and winning it in 1970. This was the era before there was a national team, so a provincial club champion represented Canada at the world championships. The Centennials’ 1970 national title meant they were off to represent Canada at the 1970 world championships in Cartagena, Colombia and the 1971 Pan-American Games in Cali, Colombia. The team was inducted into the Hall of Fame in 1999. Next articleKrista DuChene made history !